Prepare for Success is an all volunteer effort on behalf of students in the Howard County Public Schools System. 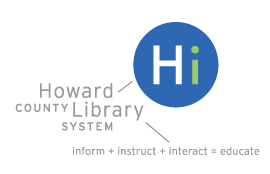 PFS is a partnership among the Community Action Council of Howard County, the Howard County Public Schools System, and Prepare for Success. PFS is responsible for the operation of the program including the collection and purchase of supplies, fundraising and volunteer coordination. The HCPSS is the single point of contact to coordinate the allocation and distribution of supplies. In addition as described in How We Do It the HCPSS students and staff volunteer and play a critical role in the annual work cycle. The Community Action Council receives all donations and maintains the financial records. There are many individuals, groups, churches and businesses that support the students. Two however stand out in their level of support. 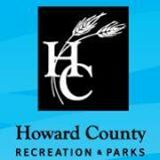 The Howard County Summer Theatre (HCST) is a non-profit organization founded in 1975 by three county residents with a passion for musical theater. The purpose of HCST is to produce reasonable priced family-oriented high quality musicals each summer in Howard County. A portion of the profits from these shows are donated to various charities in central Maryland. Again this year the proceeds will go to Prepare for Success. In recent years HCST has donated over $20,000 to support our efforts. The Grace Community Church in Fulton is committed to serving the needs and dreams of the Baltimore/DC corridor so that the community looks to the local church first when there is a need. People at Grace are involved with serving the most vulnerable – immigrants, homeless, disabled, elderly and single parent families. PFS as is our practice has for years coordinated with Grace so that our helping hands complement one another. Grace undertakes on its own the provision of school supplies to Swansfield, Ducketts Lane, Laurel Woods, and Bollman Bridge Elementary Schools.